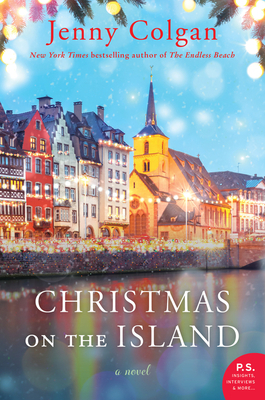 From the New York Times bestselling author of The Café by the Sea—whose novels are “an evocative, sweet treat” (JOJO MOYES)—comes this heartwarming holiday novel set on a charming Scottish island. It's a time for getting cozy in front of whisky barrel wood fires, and enjoying a dram and a treacle pudding with the people you love—unless, of course, you've accidentally gotten pregnant by your ex-boss, and don't know how to tell him. In the season for peace and good cheer, will Flora find the nerve to reveal the truth to her nearest and dearest? Will her erstwhile co-parent Joel think she’s the bearer of glad tidings—or is this Christmas going to be as bleak as the Highlands in midwinter? Meanwhile Saif, a doctor and refugee from war-torn Syria is trying to enjoy his first western Christmas with his sons on this remote island where he’s been granted asylum. His wife, however, is still missing, and her absence hangs over what should be a joyful celebration. Can the family possibly find comfort and joy without her? Travel to the beautiful northern edge of the world and join the welcoming community of Mure for a Highland Christmas you'll never forget! And warm up your kitchen with bonus recipes for the Little Beach Street Bakery’s seasonal shortbread, Lanark Blue Scones, and Black Buns.